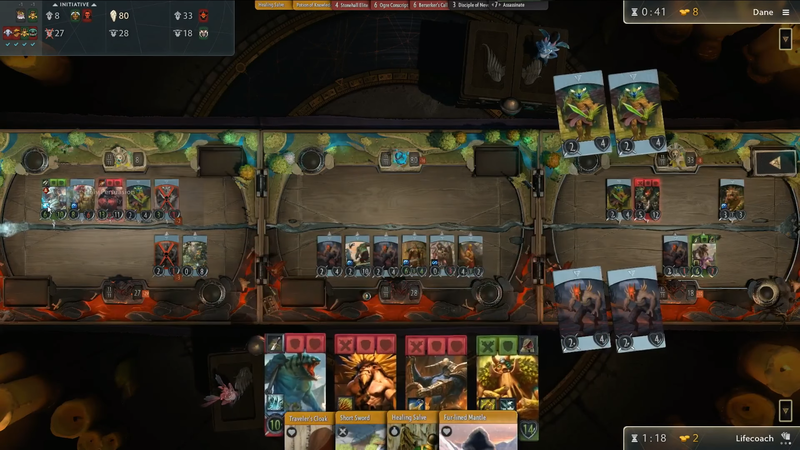 BTSArtifact's livestream of the Artifact Preview Tournament started off with a staggering 90,000 viewers watching. 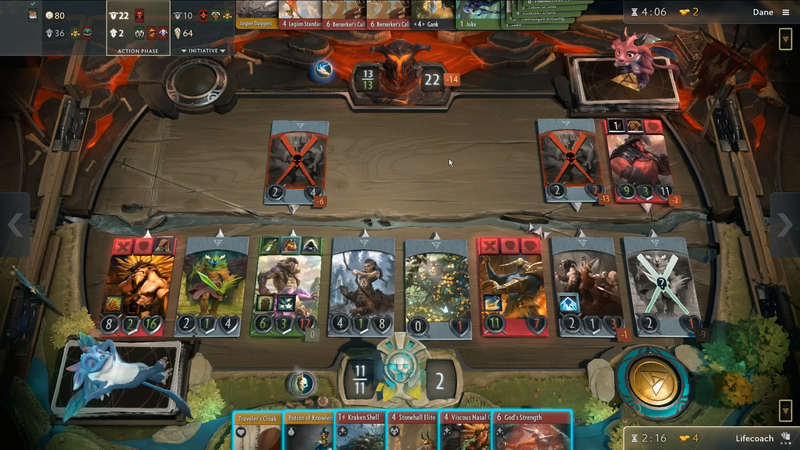 The stream began with a brief explanation of Artifact's mechanics and a casual conversation about drafting strategies, favorite colors to play, and how items work. 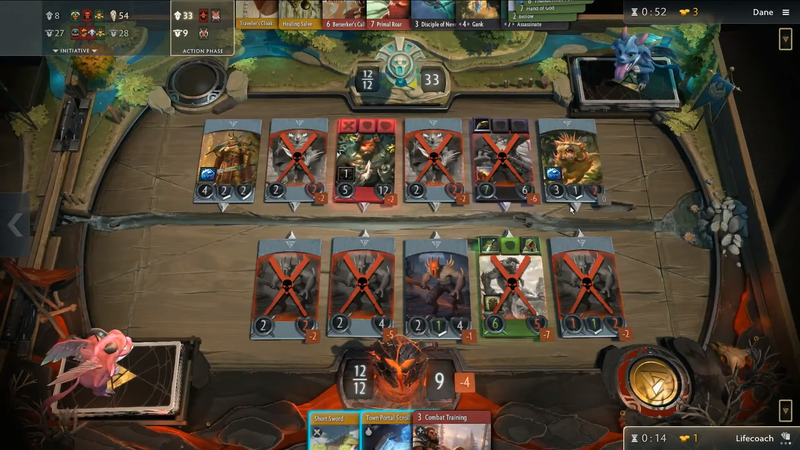 This lasted for about 30 minutes, at which point the Hosts spectated Lifecoach during his first draft of the tournament. 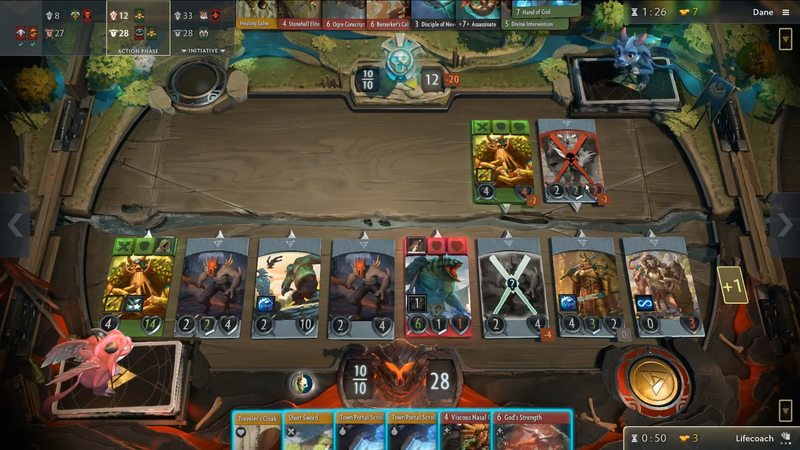 Unfortunately, tens of thousands of viewers haven't even seen a single Artifact card yet, many didn't know anything about Artifact prior to this livestream. 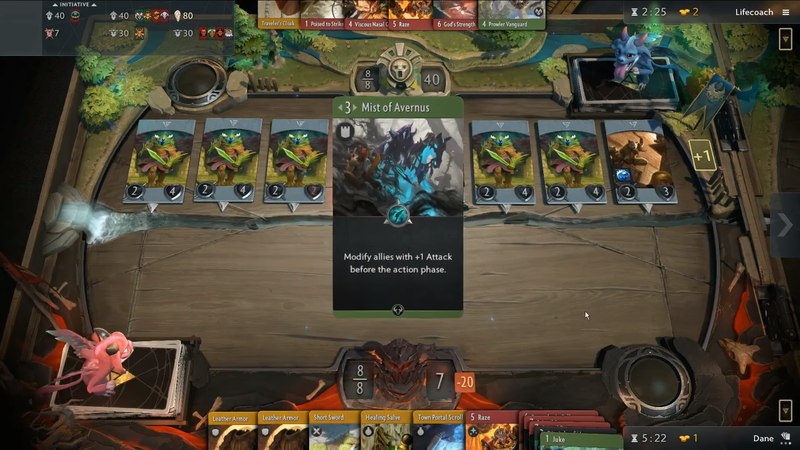 For the entire first day, the streamers were casting games assuming the audience had up-to-date knowledge of Artifact, leaving many viewers on Twitch confused. What ended up happening, dozens of people flocked to the Artifact subreddit and voiced their frustration. Just mere hours after the livestream began, almost half of the viewership had stopped watching. Personally, I believe as a content producer and writer, you should always assume your audience is intelligent. I would never underestimate my readers, nor would I assume that they couldn't understand a complicated concept, nor would I spoon feed them information. Just because something is complicated at first, doesn't mean you should give up right away. And frankly, there is a journey to be had, when delving into a complicated subject. This is an amazing experience to be a part of, when you are involving yourself in something you enjoy. At the end of the day, people will constantly be discovering Artifact, from now until the end of time. Those people won't know anything about Artifact, at first, and the impetus is on them to do research, if they are so inclined. 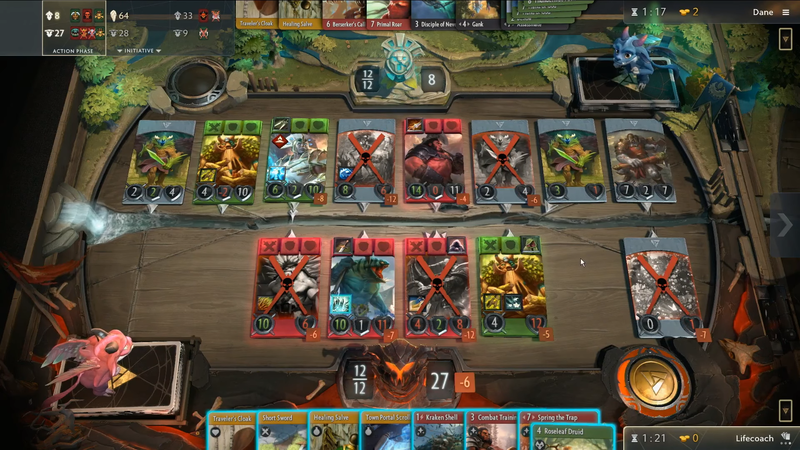 If those people are immediately turned off because "Artifact is too complicated" then Artifact is just not the game for them, period. The only way Dane can keep this tower alive is by using 's Active, Holy Persuasion, on the far left , and hoping that it lands in front of . With a 33% chance, Dane gets pretty lucky and the does in fact fall in front of . He then casts on . Dane leaves the round alive, keeping his tower up with 3 Health remaining. The reason Dane does this, is because he is too far behind in Lane Three, and it will be difficult to win control in Lane Two, where Lifecoach has a in play. In the following Round, Dane decides to commit to protecting this Lane fully. He casts , healing all of his units and giving them damage immunity for the turn. This is important because if both and die here, Dane probably loses the game entirely. Lifecoach plays to the Left. In response, Dane plays a , killing , , and . However, survives the because of 's effect. After has ended, is now dead, which now means 's effect is no longer active. In Dane's twitch stream, in hindsight he explains, he doesn't think he should have played . uses Headshot, killing . drops in front of , blocking 10 tower damage. 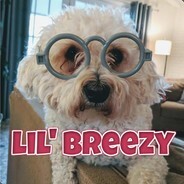 Lifecoach then uses on Sniper, pushing him into Lane Three, which forces the two to now hit Tower for 4, which would knock it out. In response, Dane drops , healing the tower for a massive 7 Health, putting it at 10. However, there is still an unblocked , which slides through for 2. 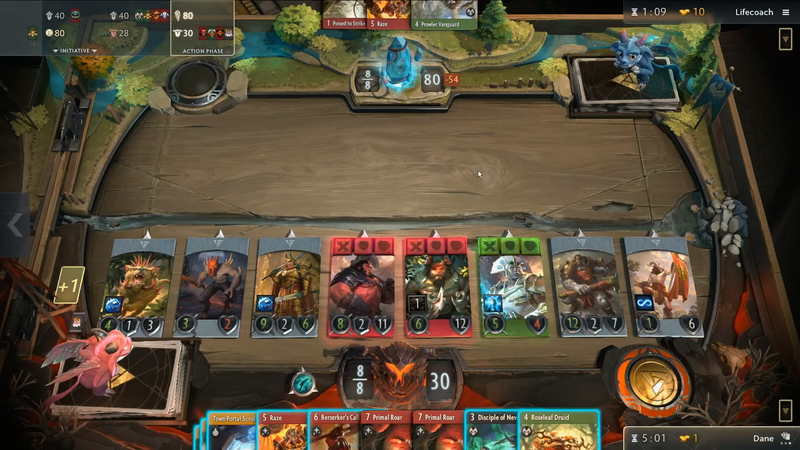 Before the lane enters the Combat Phase, Lifecoach throws out a , making it harder for Dane to take this lane's tower. During the Combat Phase, takes an important 2 Damage from the opposing , leaving him with 10 Health. Later in this round, is cast from Lane Three, sniping the . At the end of this Lane's Combat Phase, the tower survives with 8 Health. In this Deployment Phase, Dane accurately avoids Lane Two and its , choosing to instead place in Lane One and in Lane Three. This is a very safe choice, because Lifecoach doesn't have anything in Lane Three. 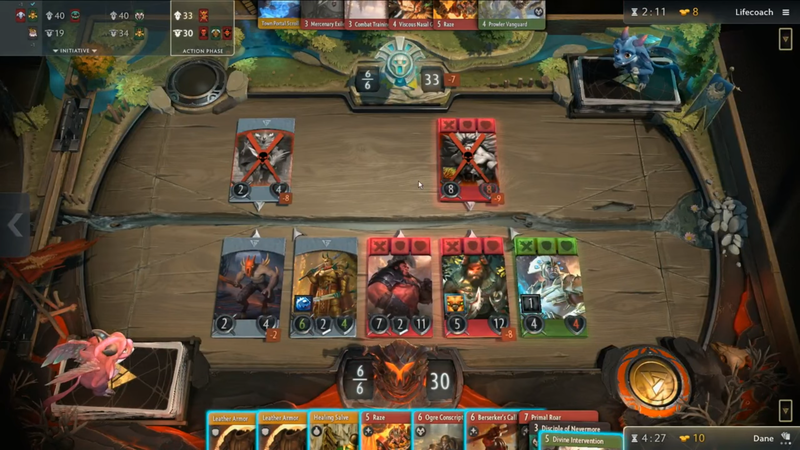 If Lifecoach decides to put Heroes into Lane Three and if Dane draws a , he needs a Red Hero in the lane to be capable of casting . aaaa Lifecoach decides to put into Lane One, which does not activate in Lane Two. Dane draws . Here, Dane casts , pushing into Lane Three and into Lane Two. After equipping a onto , he does enough damage to kill the blocking . 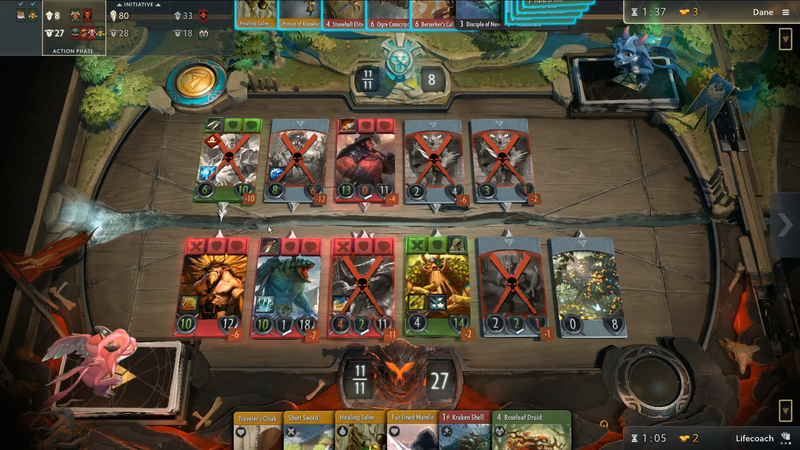 Now the lane has been nearly won by Dane, leaving Lifecoach's tower at a mere 27 Health. In this lane, Lifecoach does the unthinkable. He is able to kill this tower and get both Heroes out of the lane. He uses a on both and . Because is no longer in the lane, is no longer active. Meaning the lone that is dying to Dane's , means will deal 2 Damage to Dane's tower, totaling 12 Damage, destroying it. By using on both and , this means Lifecoach is able to Deploy four total Heroes next round! That's actually an insane play. I think Lifecoach shouldn't have played on Dane's , which causes the to kill it. By killing Treant Protector here, he is sending it to the Fountain for Dane, allowing him to send back into battle, two rounds from now. Instead, if you don't kill it, is stranded in this lane. All four to Lane One? With this choice, you are able to use 's Active Ability, Ravage. You will need good placement however, if you plan to hit both and . With zero cards in your hand, you are relying on a top deck to be able to punch through and finish off Dane's tower. 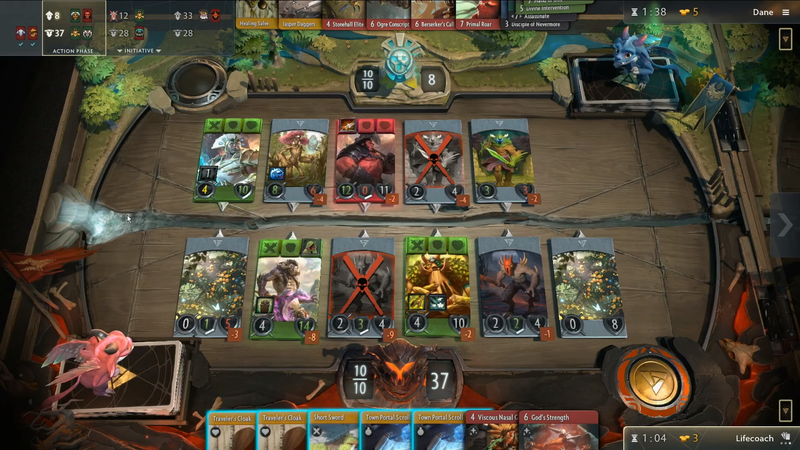 Right now, Dane has Initiative, which means he could play a , knocking two of your Heroes out of Lane One (which is something he has already done this game), he could also cast a , dealing a ton of damage to your entire lane. All four to Lane Two? This is something Hotbid was advocating for, because he loves when people kill the Ancient after winning a lane. 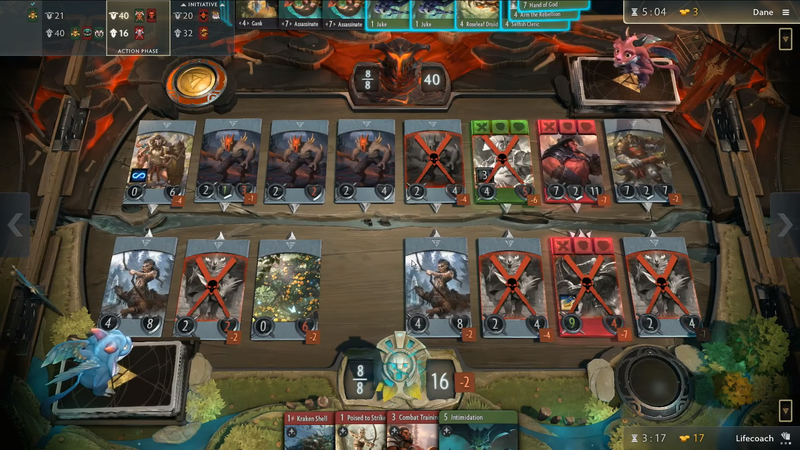 Unfortunately, there isn't any combination of cards that Lifecoach could draw to deal 80 damage in one turn, even with all his Heroes in this lane. 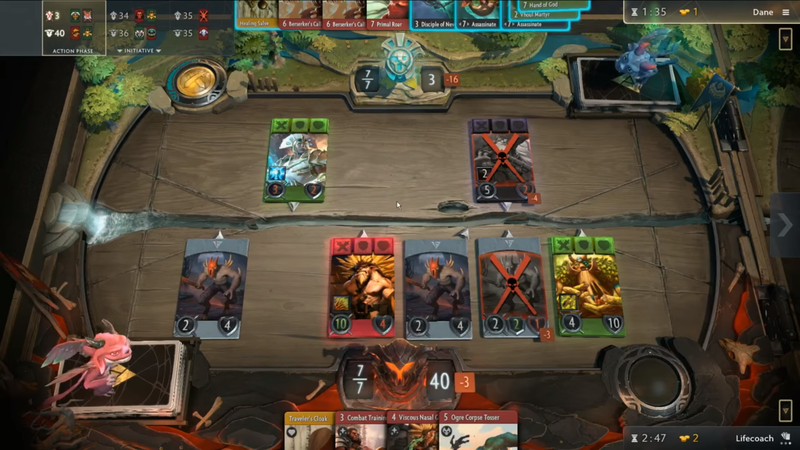 Lifecoach also has to consider how capable the other two lanes would be over the course of two turns, which is how long it would take to kill the Ancient. All four to Lane Three? If I were in Lifecoach's situation, I think this is what I would end up doing. The reason I like this play, sure, Lane Three has more health remaining on the tower, but Dane only has one Hero there, as opposed to two. Also, because of the placement of , it might not be possible for your to cast Ravage. 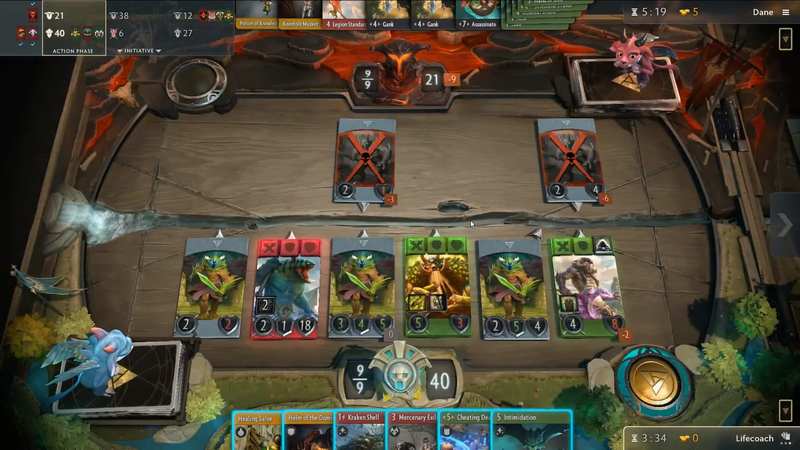 I'd be interested to see how this game plays out, had Lifecoach put all four in Lane Three. Or some kind of mixture of deployment between Lane One and Lane Three. 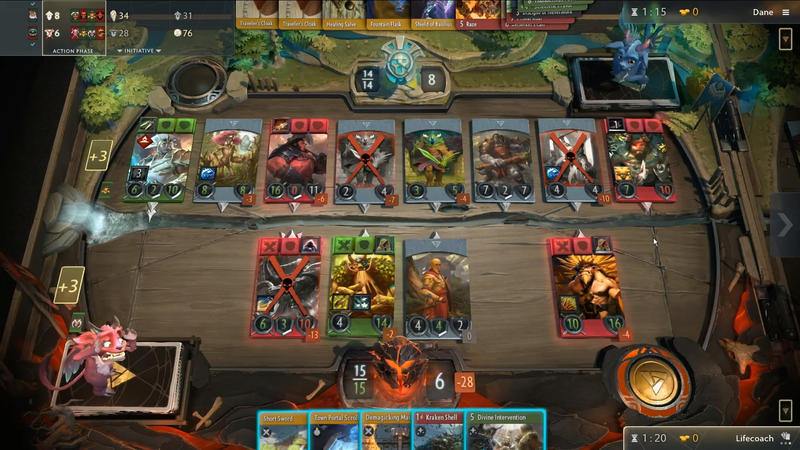 In the end, Lifecoach decides to put all of his Heroes into Lane One, relying on top deck to see if he is capable of punching through and finishing off Dane's Lane One tower, sitting at a measly 8 Health. Because of how the Heroes spawned, spawned in the perfect place to Ravage both of Dane's Heroes in the lane. 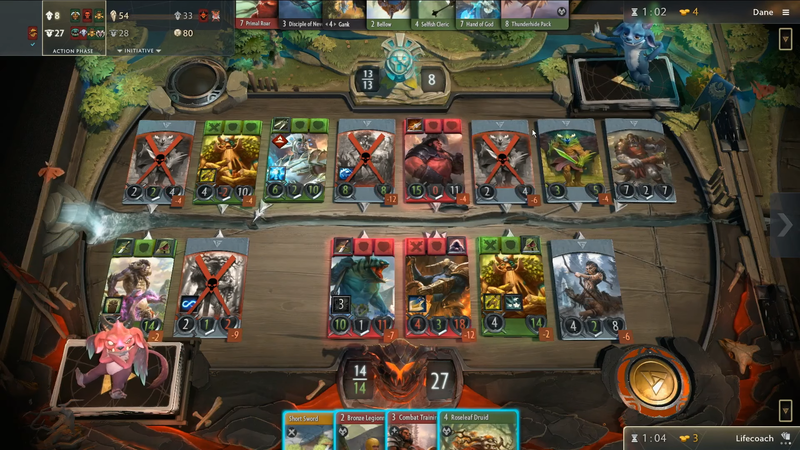 Unfortunately for Lifecoach, Dane has Initiative and immediately casts , giving all of his units Damage Immunity. In response, Lifecoach puts on his , giving it enough Health to survive an opposing . To finish the round, Dane drops in front of , giving Initiative to Lifecoach for the next round. With this Deployment Phase, Dane is aware that Lifecoach has Initiative and wants to cast 's Active Ability, Ravage. He decides to put in Lane One, because there is a 50% chance that doesn't get stunned from Ravage. If he doesn't put here, Dane could get locked out from playing cards all together. I think the reason Dane puts into Lane Three, is because he wants to take the tower out this turn. And because of the random spawns, Lifecoach has two on the way, forcing into the lane. 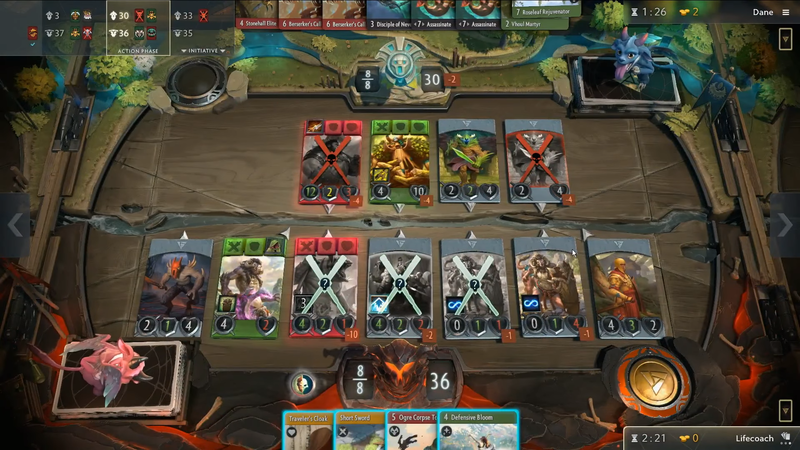 Of course, Lifecoach immediately casts Ravage, stunning and immediately. Unfortunately, with a lucky 50% coin flip, survives! In response, Dane casts , healing all his units and giving them Damage Immunity! 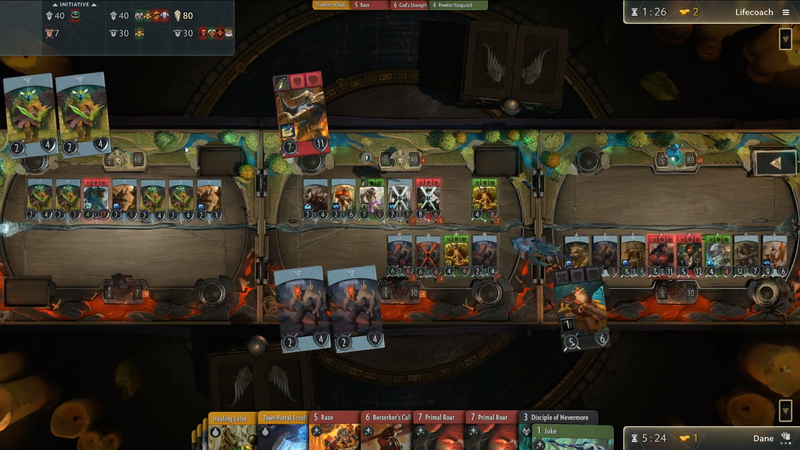 In quite a predicament, Lifecoach decides to play , hoping Dane uses 's Holy Persuasion to take it, allowing him to safely play into the lane, giving him more Damage to take this lane's tower. However, Dane doesn't fall for it, and passes. Left with nothing else, Lifecoach casts into Lane One, putting all of his resources into the lane to take the tower. Dane still passes, opting not to use Holy Persuasion, keeping Initiative. To finish the round, Lifecoach takes back Initiative with , but has nothing left in his hand to take advantage of it. With Initiative, Lifecoach decides to use , pulling his out of the lane, before Dane uses 's Headshot, for a quick kill. Dane decides instead to use , dealing 10 Piercing Damage to in Lane One, killing it. Dane also casts , using to attack a in Lane One, killing it as well. This is the power of , being able to kill a Hero, a unit, and killing a tower all at once! With this tower destroyed, it all comes down to Lane One! Again, Dane casts , refusing to lose this lane. If you haven't been counting, that's a total of three and one ! then uses Holy Persuasion, taking the from Lifecoach. After Lifecoach places in front of the , Dane responds with , sending the blocking his into Lane Three. Lifecoach responds, playing across from the . To finish the lane's Action Phase, Dane places to the far right. Once it's all said and done, Lifecoach's tower is left with 6 Health. Staring down certain death, Lifecoach concedes with Initiative, giving Dane the victory! Lifecoach is dominating Lane One, he decided he'd rather spend his resources elsewhere, and casted into Lane Two. Here, Lifecoach has done almost nothing to Dane's tower, which is still at 40 Health. Lifecoach's tower however, is looking pretty beat up, with only 16 Health remaining. Dane puts into lane and Lifecoach responds with , giving his enough Attack to kill . 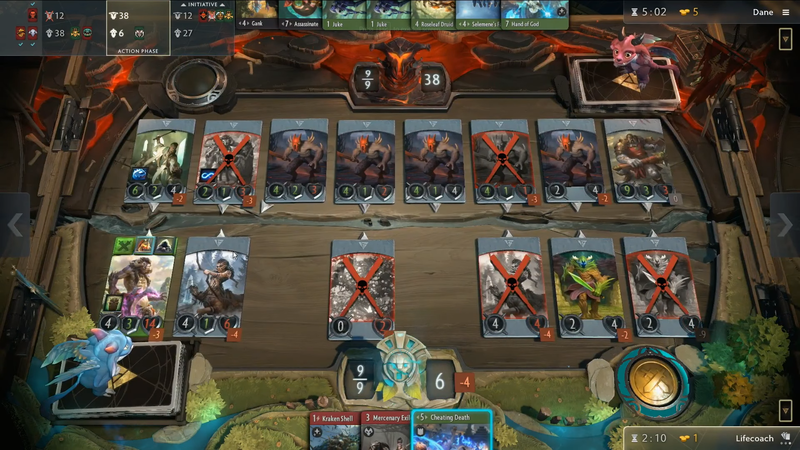 The Action Phase ends with Dane casting , boosting all his Creep units up and dealing 10 tower damage, leaving Lifecoach's tower with 6 Health remaining. Lifecoach decides he wants to fight for Lane Two. Currently, he's clearly won Lane One. And in Lane Three, he doesn't have anything there and is staring down four Heroes in Lane Three. The problem is all the buffed up Creep units in Lane Two, and his tower only has 6 Health remaining. On the Shopping Phase, Lifecoach was very lucky and purchased from the Secret Shop. In Lane One, he places it on , and casts on , hoping it goes into Lane Two. If it goes into Lane Three here, he loses. In a 50% coin flip, Lifecoach hits it, goes to Lane Two! 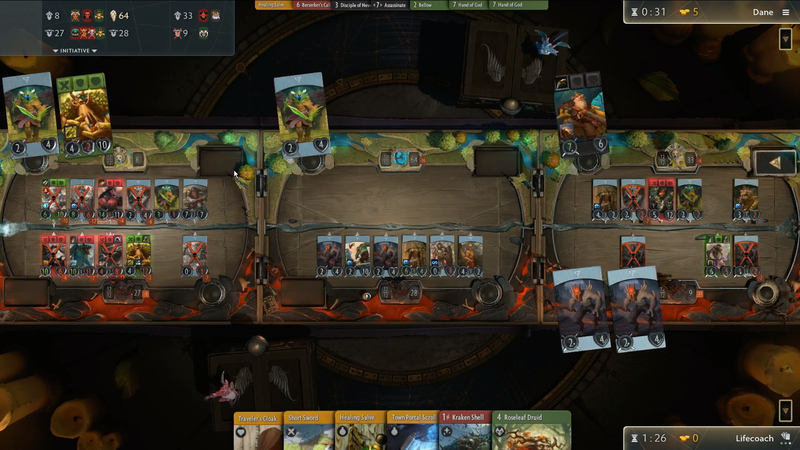 Immediately, Lifecoach plays , one of the few ways he can salvage his presence in this lane. Lifecoach then uses equipped to to steal the , blocking one of the opposing . During the Combat Phase, both units that could have died, survived because of ! 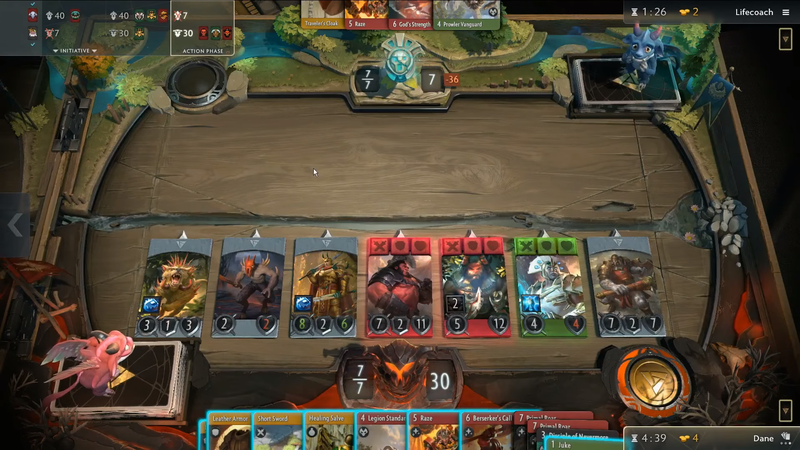 The last unblocked is able to poke through, dealing 4 damage, leaving Lifecoach's tower at 2 Health! 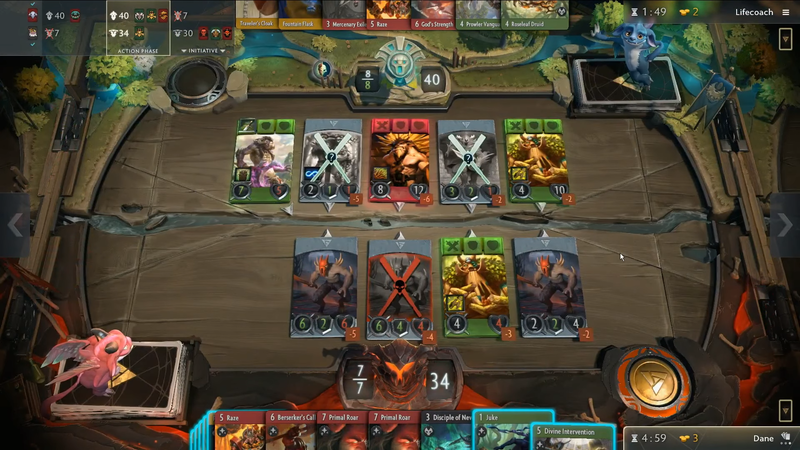 Dane deployed his into Lane Two, hoping to figre out a way to poke through and deal the final 2 damage to Lifecoach's tower. Because of the random Spawn location into the Lane during deployment, ended up in the far right position. A mere 20% chance of happening! Dane plays on his , shooting the blocking the , but because of , the survives! Because of this, Dane uses on the in front of . In response, Lifecoach drops in front of Dane's , protecting his tower from any damage. I'm sure Dane is thinking this okay, because 2 Creeps are going to die this turn, surely both won't survive with ? You guesses it, both survive. This is a crazy situation. 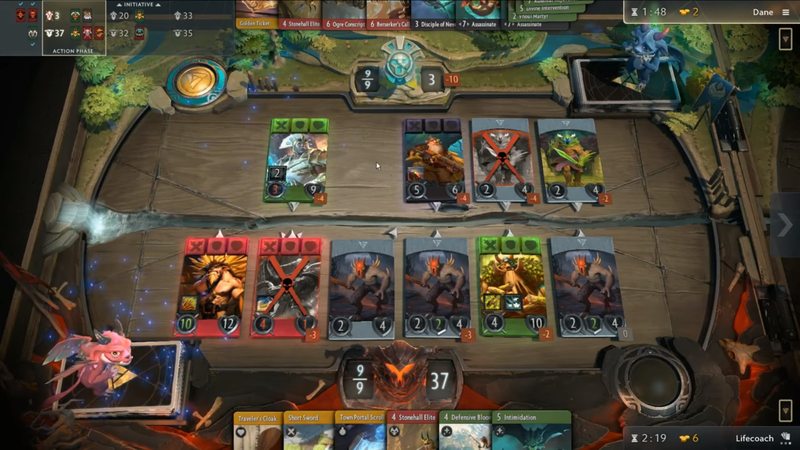 Lifecoach will likely have everything he needs to take the tower, but he has to be careful that Dane isn't able to poke through and deal the final 2 damage, causing the game to end in a tie. First thing Dane does of significance is cast , luckily killing both neighboring units to Axe! In response, Lifecoach uses attached to on the next to Dane's , causing it to flip over, and block the ! Dane then puts in front of , attempting to block damage. But Dane wasn't expecting Lifecoach to have both and a in hand, which gave Lifecoach enough damage to take the tower and Game Two! Dane is going to win this lane, easily. What's interesting is how little of a presence he has in Lane One or Lane Two. Dane might be thinking he should push for an Ancient kill in this lane, if he has any hope of winning this game. So to Dane, it is actually a good thing that Lifecoach uses on his , getting it out of the lane and allowing 9 more Damage to go into the tower! Dane ends up using 's Call of the Wild to summon a and drops down , dealing a total of 26 damage to the tower, leaving it with only 7 Health remaining. Here, Lifecoach is thinking he's won Lane One, handedly, and the contested lane is Lane Two. He's putting both and here, to win control over the lane. Lifecoach knows there isn't any point in trying to win back Lane Three, because Dane has too many Heroes in the lane and supporting Creeps. Dane saw that Lifecoach put both of his Heroes into this lane, trying to fight for control. Dane uses Initiative to cast , stalling this lane out for another round. Effectively, giving him one extra round to finish off Lane Three's Ancient, which will be exposed after this round ends. Here, it becomes obvious to everyone what Dane is doing, after he drops next to the , finishing off this tower. Clearly, Lifecoach knows what Dane is attempting to do... But surely he doesn't have all the pieces he needs to do 80 tower damage in one turn? Dane draws the from the Draw Phase! He then casts this from Lane Two, where he has in lane, into Lane Three! After dropping to the right of , Dane does exactly 80 damage to Lifecoach's tower, destroying it in one turn! After a many hours of livestreaming, a vocal minority within the community had a lot of negative things to say After this game, the entire tune of the community shifted. This game was absolutely the best thing that could have happened on stream that day, instantly silencing a ton of critics. Three very exciting games, all with astonishing finishes! 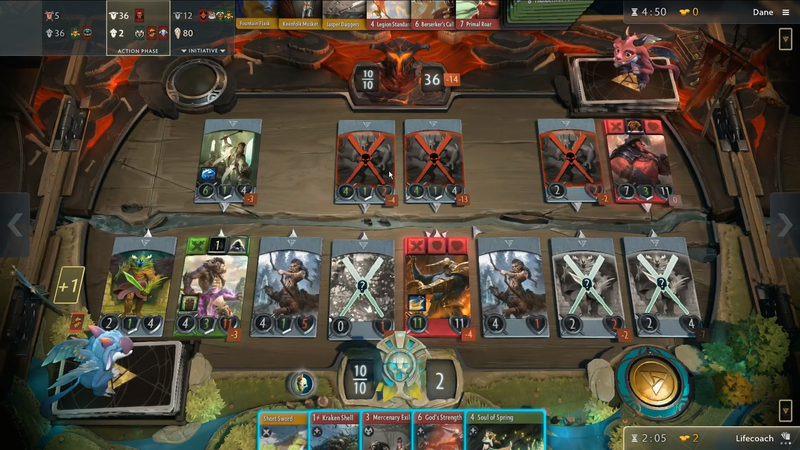 This is why Artifact is such a great game, this is why so many people in the community want to play so badly, and most importantly, this is the reason that Valve had pro players playing in the closed beta for all this time... So that whenever they were ready to display the game to the world, we all got to see an amazing series like this one! Once it was finally over, there's still a lot of big questions that have to be answered. Are the community's concerns with the pricing model justified? Were people's complaints that the game is too complicated going to have an impact on game sales at launch? Was everyone's negative responses just an overreaction, because they are desperate to play? 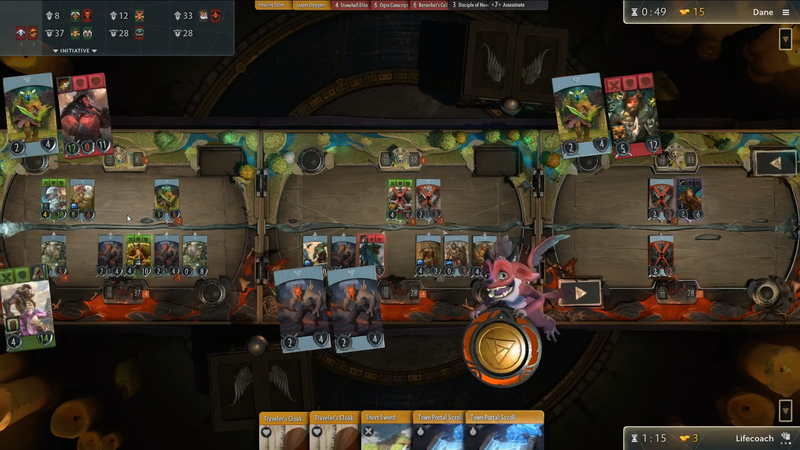 What were your thoughts on this series and the Artifact Preview Tournament, as a whole? Do you still have concerns about Artifact? Share your thoughts on the Artibuff Forums or in the comments below! 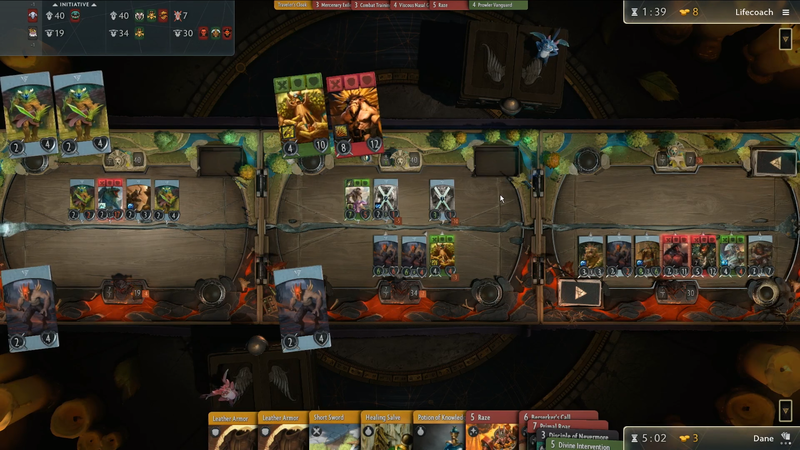 To watch the entire series between Lifecoach and Dane, check out the video on BTSArtifact's Youtube page! Yo, Rokman - I just wanted to say thanks for the write up, and keep it up! To be honest, I'm not even sure how I found myself reading this... I normally play HS, so it might have been that it was Dane v. Lifecoach that initially caught my attention - but regardless, it was THIS article that pushed me over the edge to pre-order Artifact. Now I'm starting to get hyped! Thanks again.